Lance Olinski loves attending The Parks Church in McKinney. His life has been changed by the mission-minded approach the congregation takes in their everyday lives, especially the impactful ways they engage with their local community. This is what sparked Lance’s desire to take a big step into community development work. Upon realizing his passion for the homeless community in Collin County, Lance honed in on the issue of hygiene after an encounter at a local restaurant. 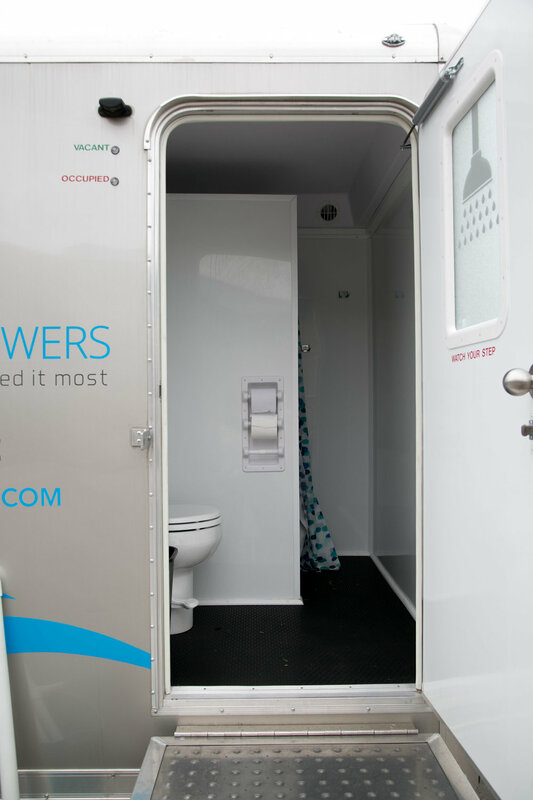 Lance started researching organizations around the country that provide showers to those in need and found Lava Mae, an organization based in California that was providing mobile hygiene services. “That whole concept gripped me, and I said this is how we need to do it, so essentially I just brought the model back to North Texas,” Lance told us. After traveling to California to meet the Lava Mae team and receive training on the mobile hygiene unit management process, Lance returned home and purchased his first shower trailer. He officially launched Streetside Showers in June 2017 and has risen to the challenge of meeting demands, like traveling to serve the people of Houston after Hurricane Harvey. Streetside Showers is also forming local partnerships with organizations and municipalities like the City of Dallas, where Lance will provide shower stops at the Dallas Public Library later this year. Every Sunday, Monday, and Tuesday, you can find Lance hosting shower stops in McKinney and Plano. Each person who comes for a shower is served on a first come, first served basis. They sign a waiver before receiving a fresh towel, new washcloth, a pair of underwear, and two pairs of socks. They are treated to a 15-minute shower. On Wednesdays, Thursdays, and Fridays, Lance spends his time meeting with potential partners, raising money, and speaking with organizations. He recently raised the funds to purchase a second mobile unit, and he’s looking to build in operational expenses, maybe by adding part-time staff. “Our goal is to have the shower stops running five or six days per week,” Lance told us. If you’re interested in getting involved with Streetside Showers, there are so many ways to plug in. You can donate supplies for hygiene kits, subscribe to the organization’s email list, serve as a volunteer at shower stops, or donate financially. Learn more on the Streetside Showers website.